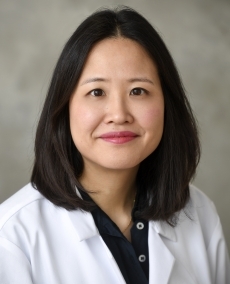 Dr. Ji Young Bang is board certified in internal medicine and gastroenterology. She earned her medical degree from University College London Medical School and completed a Master of Public Health degree at Imperial College of London. She next completed a residency in internal medicine at the University of Alabama at Birmingham (UAB), where she quickly became established as a dedicated researcher and was awarded the Young Investigator Travel Award for the American Pancreatic Association as well as the distinguished TIME-R (Trainees in Internal Medicine Mentored Experience in Research) Award. Following her time at UAB, she completed a fellowship in gastroenterology at Indiana University School of Medicine in Indianapolis. Dr. Bang is widely published in the fields of gastroenterology and interventional endoscopy. She is a member of the American Society of Gastrointestinal Endoscopy, the American Gastroenterology Association and the American College of Gastroenterology. Note:- The list below is for reference purposes only and is subject to change. Please check with your health plan to confirm that Ji Young Bang, MD is included before scheduling an appointment.